Seattle Alternative Rock Band VENDETTA RED is back with their first full length album since 2005, Quinceañera, due out 4/13 via Cleopatra Records. As well, the veteran quintet will also be joining He Is We and Puddle of Mudd on select dates of their 2018 Spring tours. 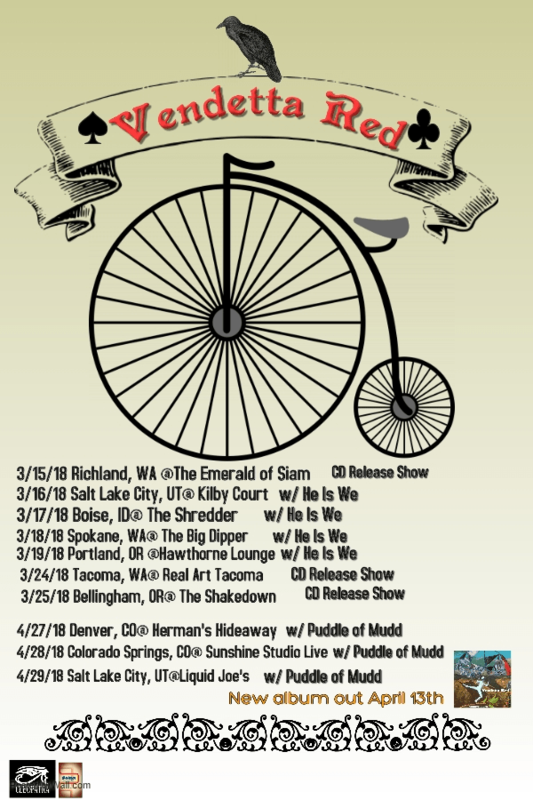 Launching with a special show in Richland, WA, Vendetta Red will be touring through Idaho, Oregon, and Colorado before winding down April 29th in Salt Lake City, UT. Click HERE to Pre-Order Quinceañera! Trivium Release Tour Recap Video, Feat. “Betrayer,” Touring This Spring — WATCH!